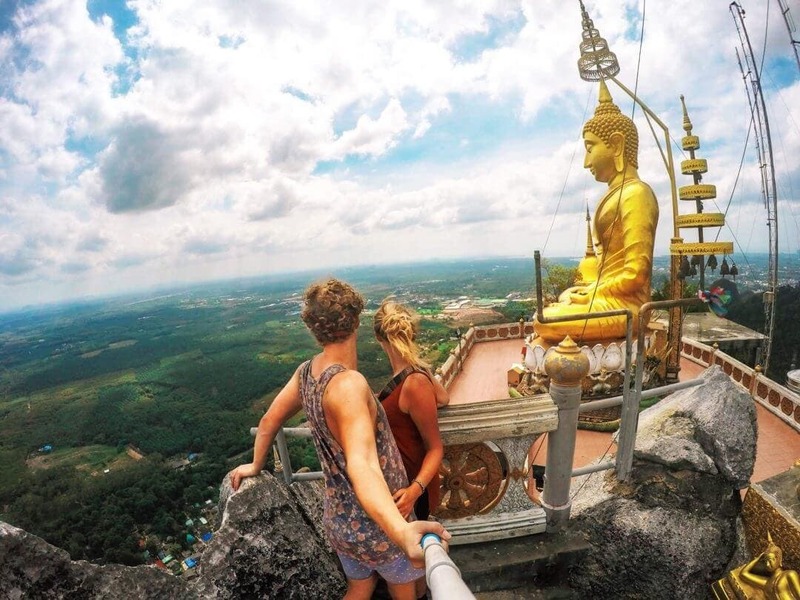 The Tiger Cave Temple, lying on top of a 600-meter high cliff, is a great way to sweat out the laziness from the last couple of days. 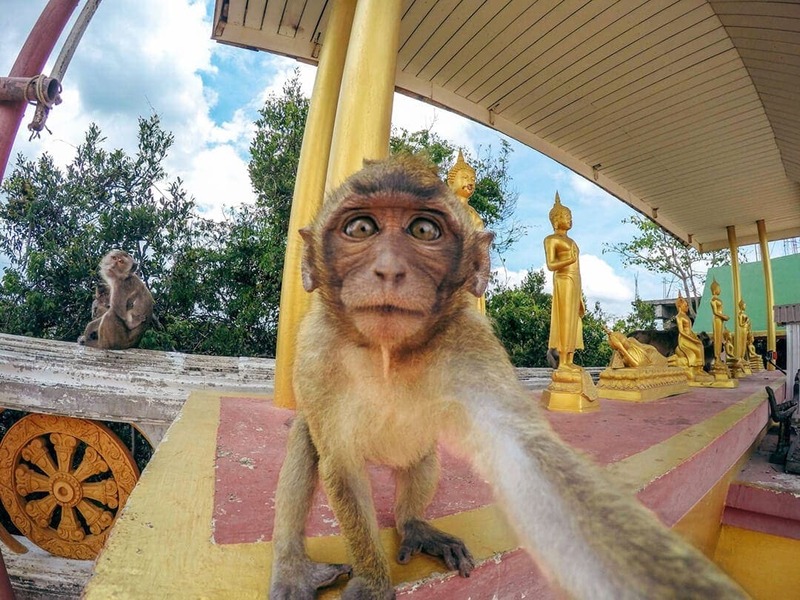 Unfortunately, there won’t be any tigers at this temple but there will be monkies. 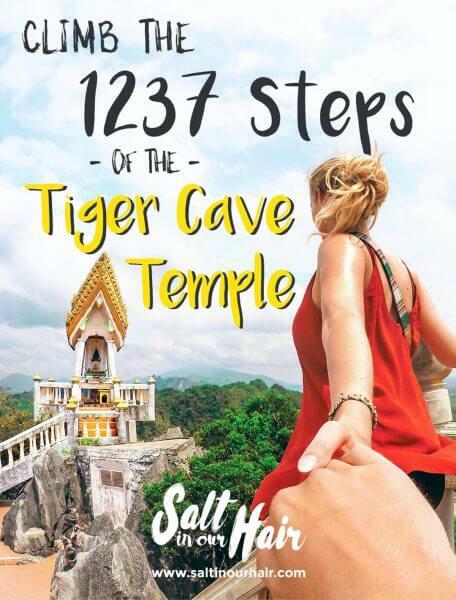 Walk to the top well prepared; These are the 6 Things to know before climbing the Tiger Cave Temple in Krabi, Thailand. 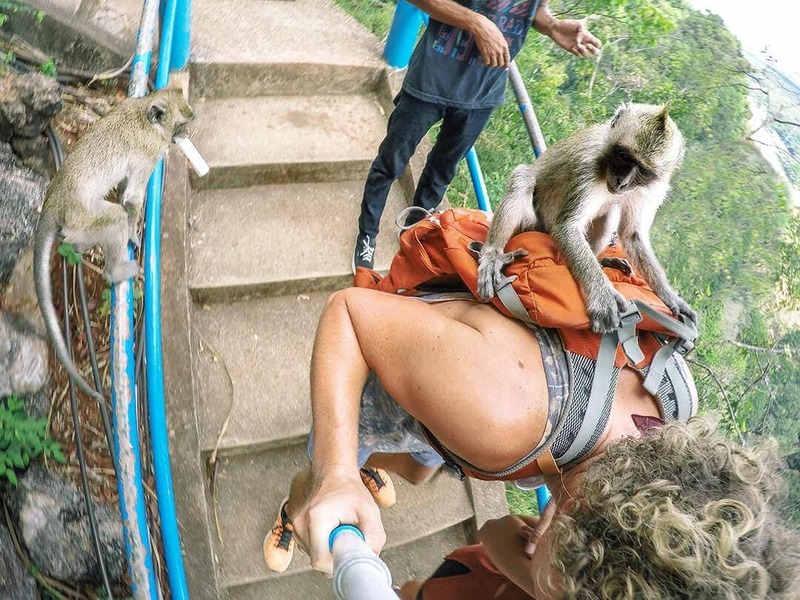 The monkeys you’ll meet on the way up will grab everything that’s hanging outside your bag. As long as you act cool they are not dangerous at all. One monkey lifted on Nick’s back while the other stole our mosquito repellent and drank it. He’s probably still drunk. At least the journey to the foot of the temple is easy. You can either stay in Krabi Town or Ao Nang to visit the temple. Hire a motorbike! It will only be a 10 minutes drive from Krabi Town and 30 minutes from Ao Nang. Okay maybe that’s something you’ve already thought about, but in this case you’ll need it for sure. Be prepared, as each of the 1237 steps will be different. Your bottle will be empty when your reach step 600-something. It’s possible to get a refill on the top of the mountain. When you’re taking a break, forget the fact that you’re sweating like a pig and enjoy the amazing views. Take a visit in the morning to avoid the burning sun and the crowd. The crowd will definitely be there when the sun sets. If you do go there to enjoy the sunset, take a small flashlight with you to get down the stairs safely. We got a ‘little’ competition for you. The shortest time in which someone completed all 1237 steps is 10 minutes and 21 seconds on the 19th of April 2016. Can you beat that record? 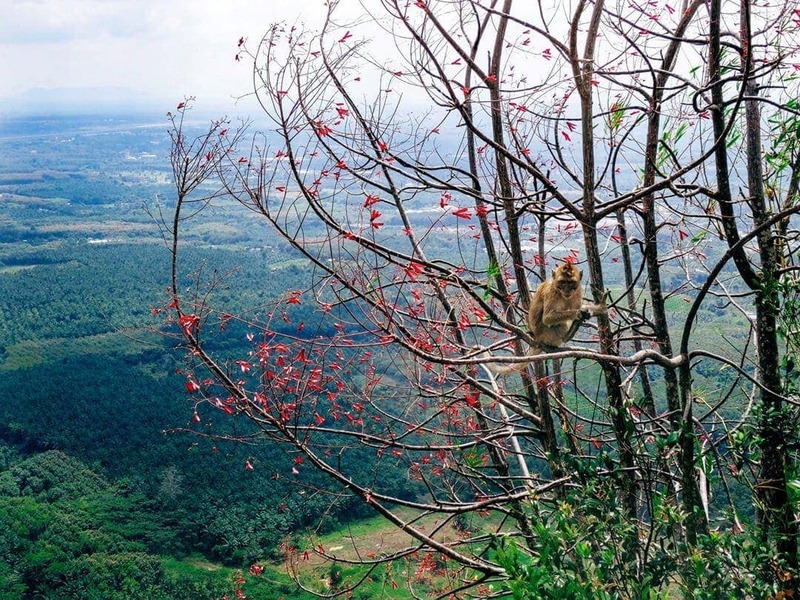 The climb is tough but the view and experience are totally worth it. A great hostel in Krabi Town in centre of town. Thai-style bungalows located in tropical Krabi.